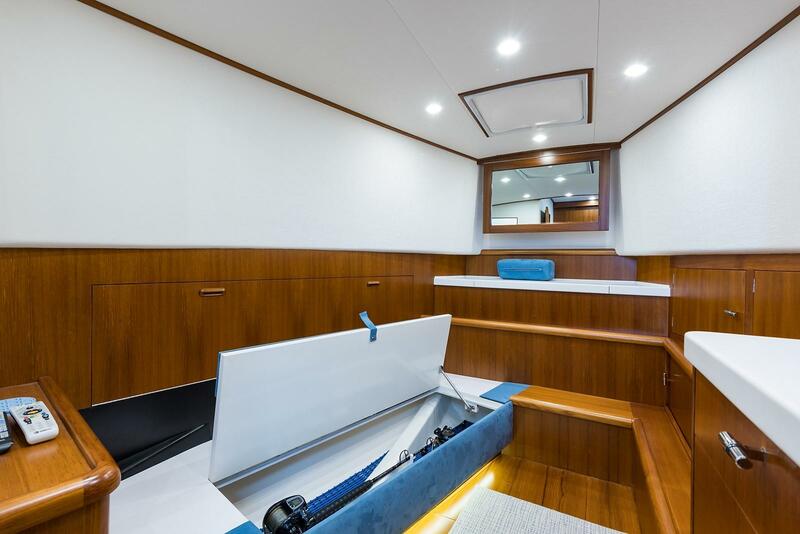 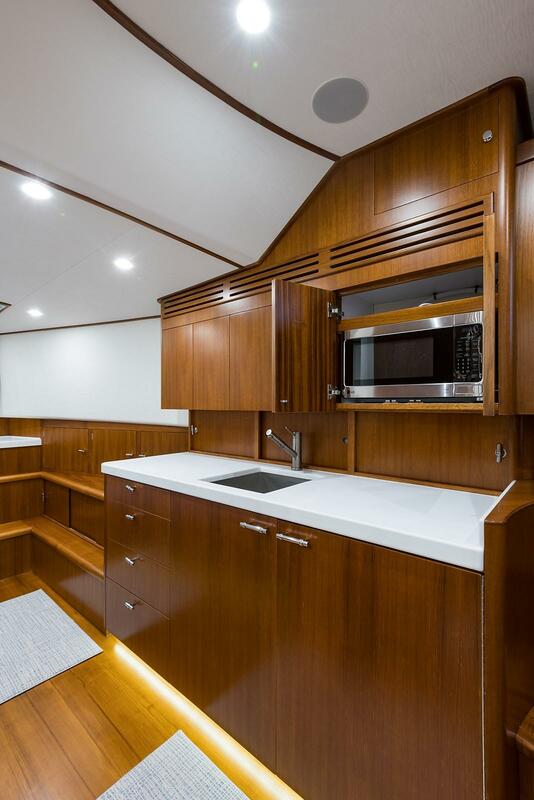 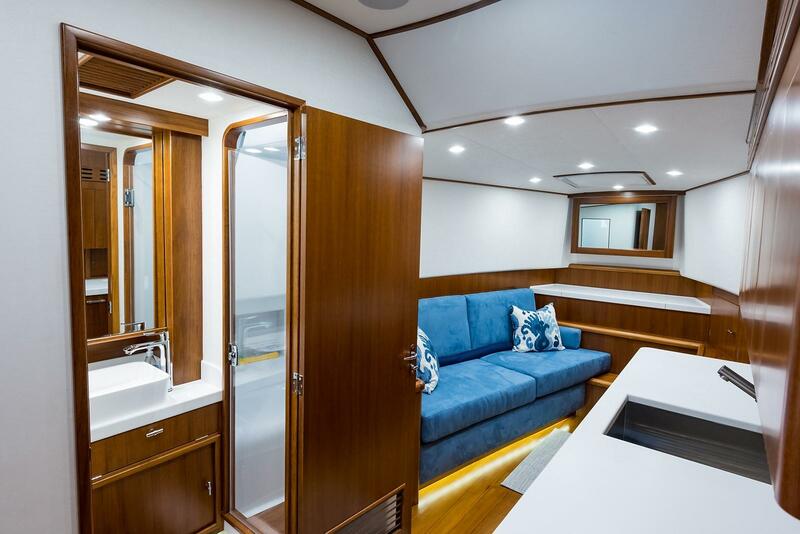 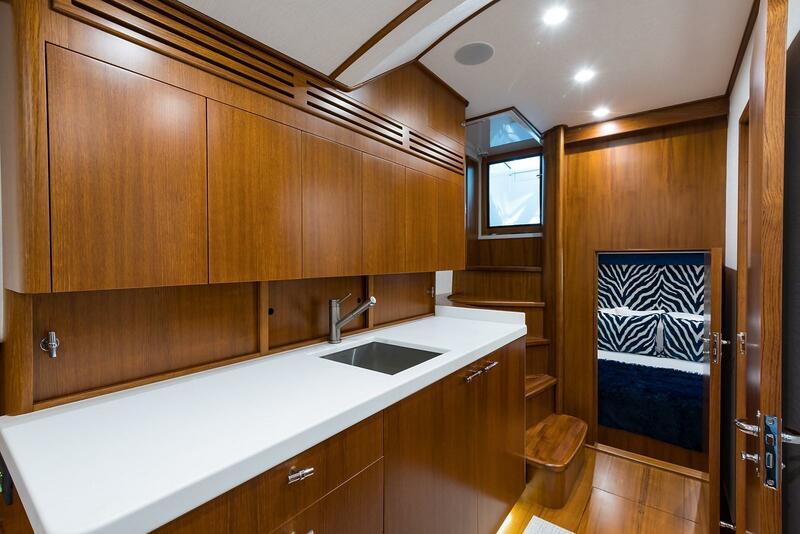 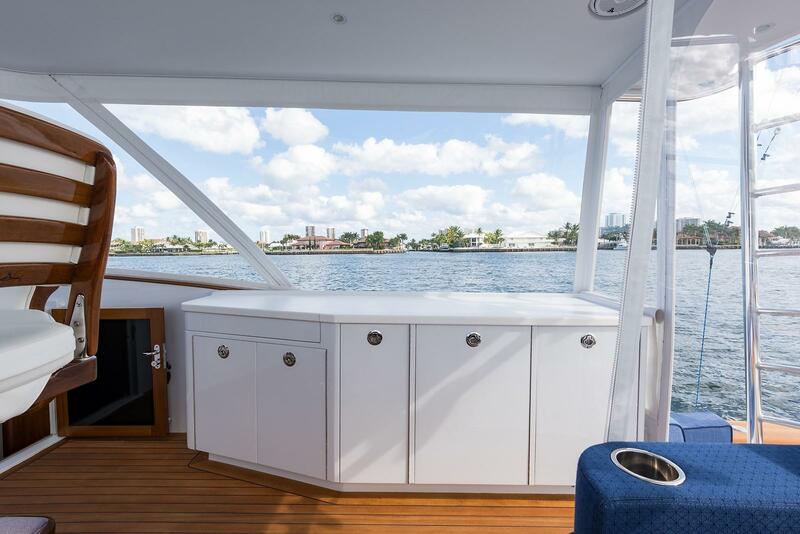 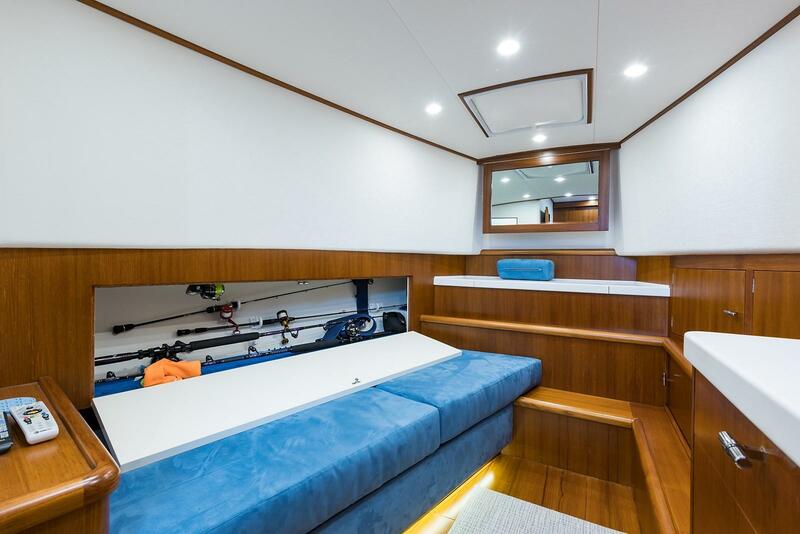 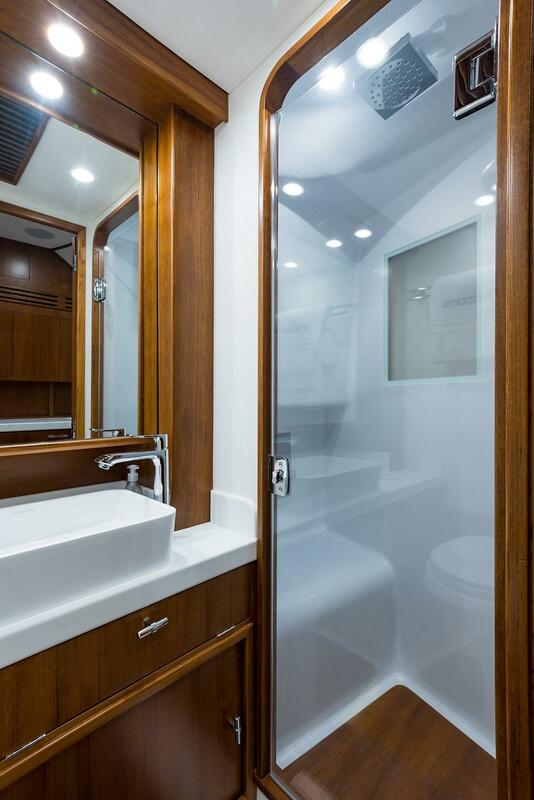 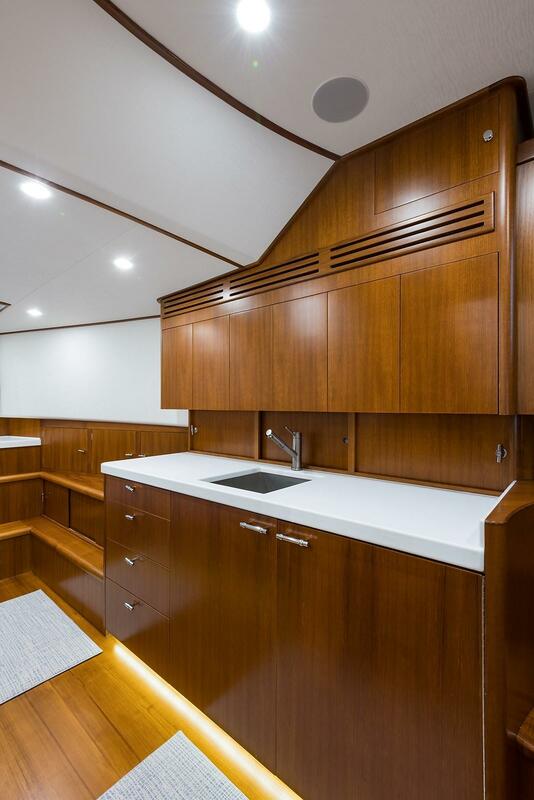 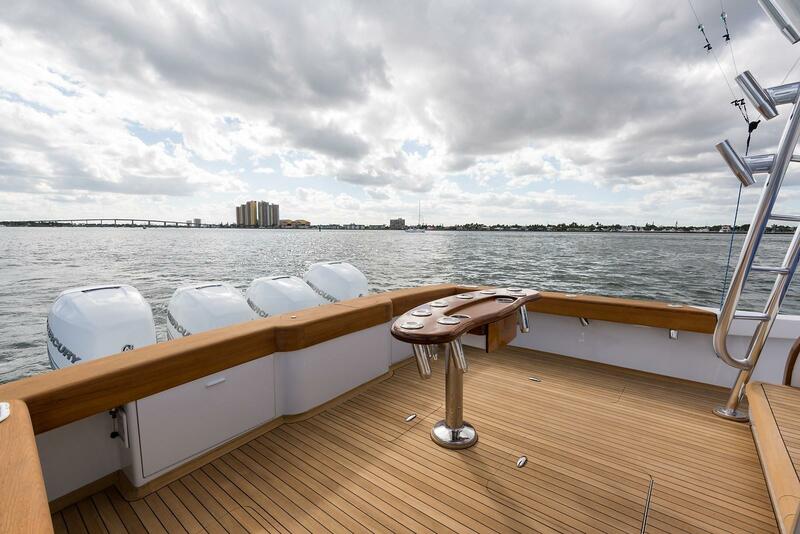 2017 Jim Smith 48' Walk Around Express "Two Krickets"
The "Two Krickets", 2017 48' JIM SMITH, is quite possibly the best designed walk-around to date. 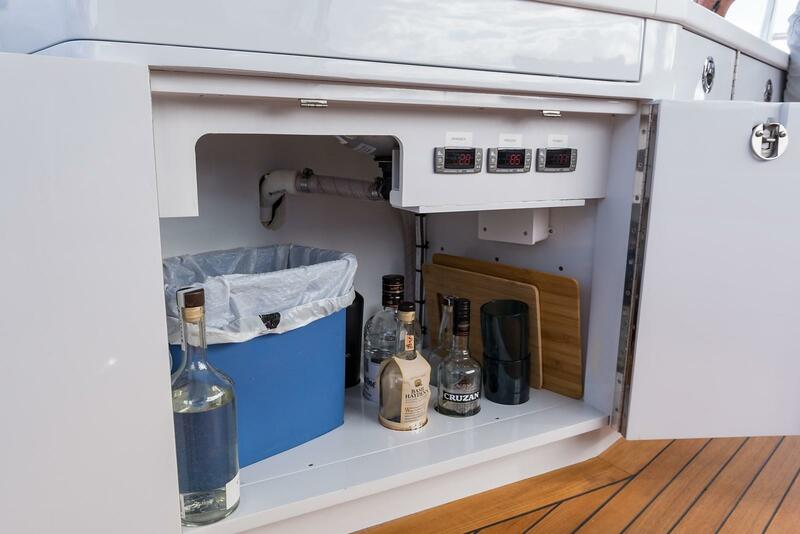 Nothing was overlooked during the design and build process. 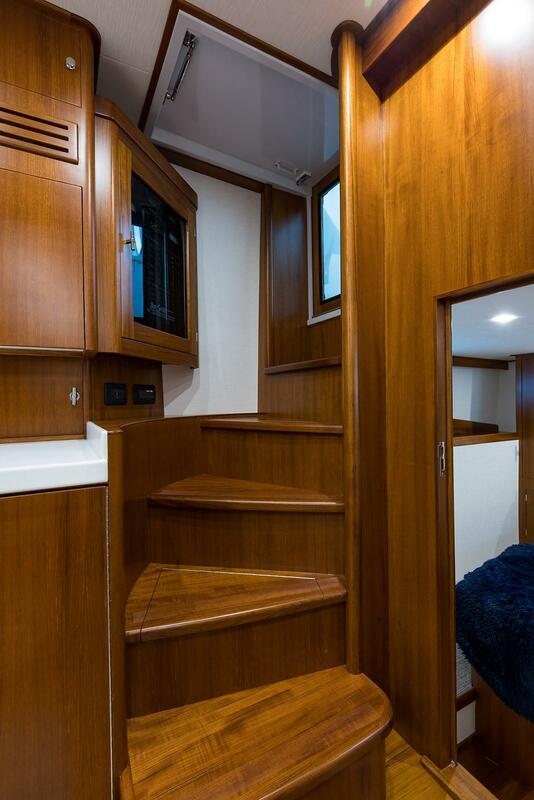 She is loaded with gear and features a roomy comfortable cabin with all the amenities of a 60 footer. 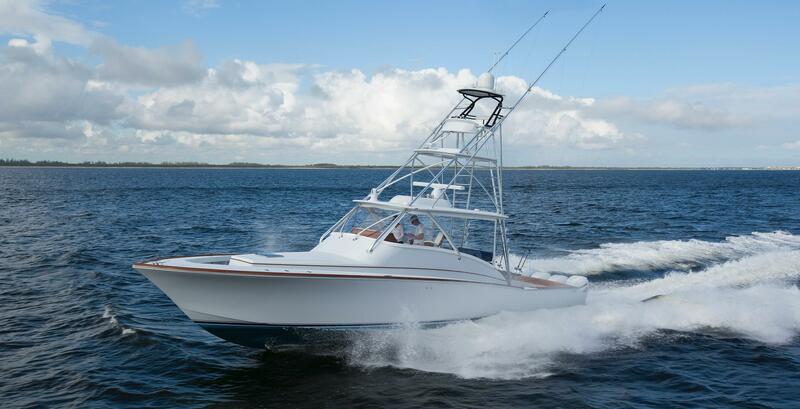 Her performance and fish ability are all Jim Smith, exceeding every goal of her design. 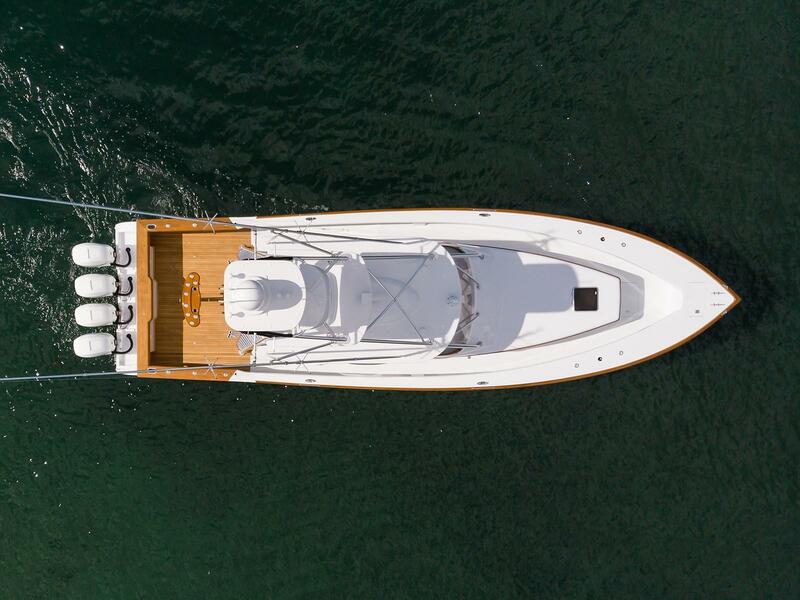 Exceptional dry and soft riding with speeds near 50 kts and exceptional range, she is a contender whether tournament fishing or using as a weekend get away with all amenities. 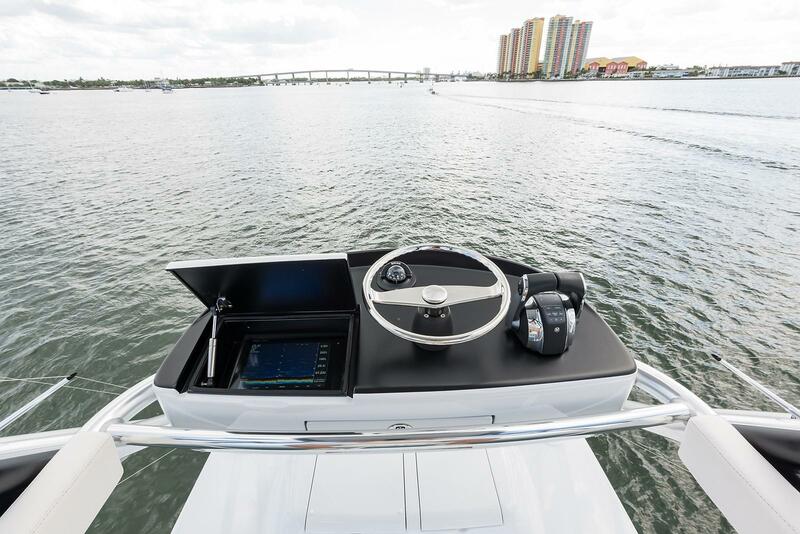 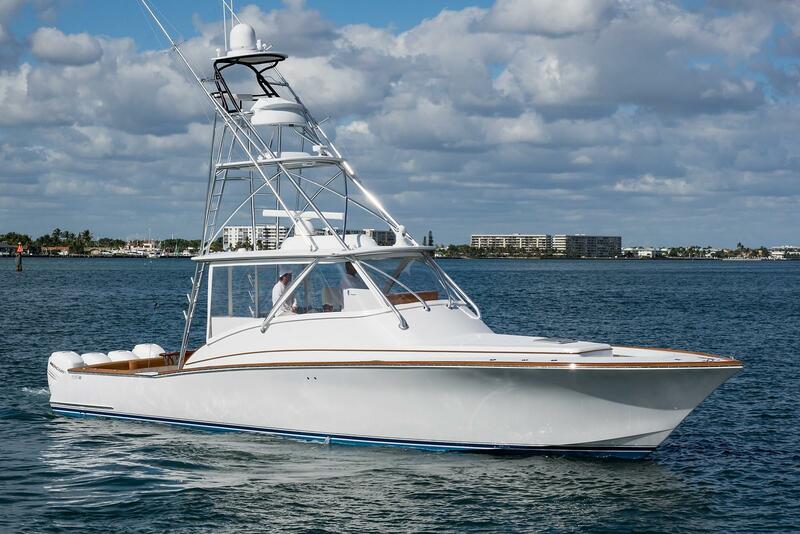 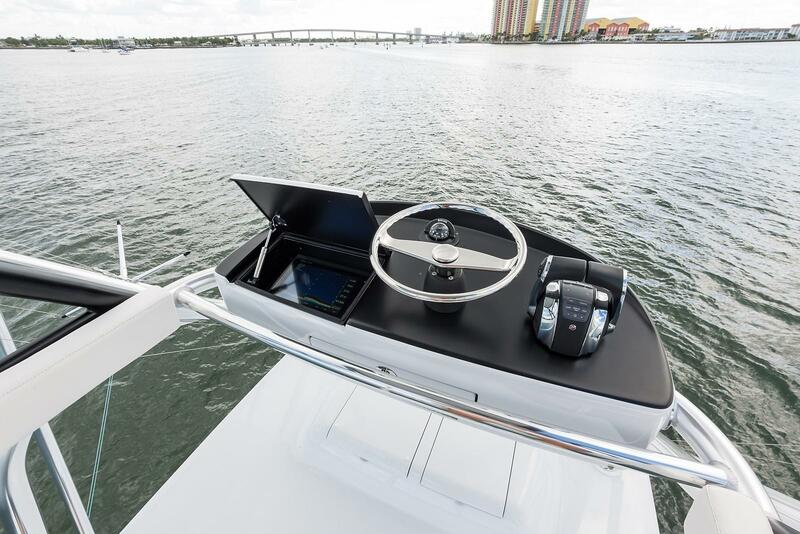 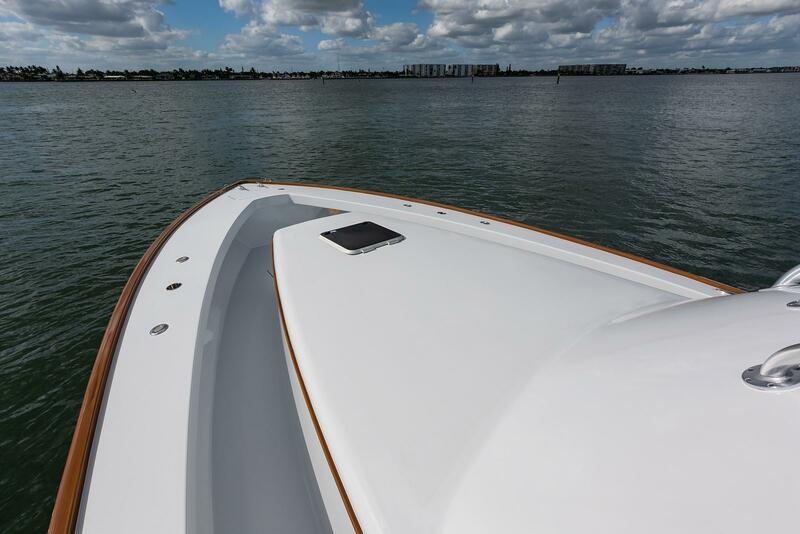 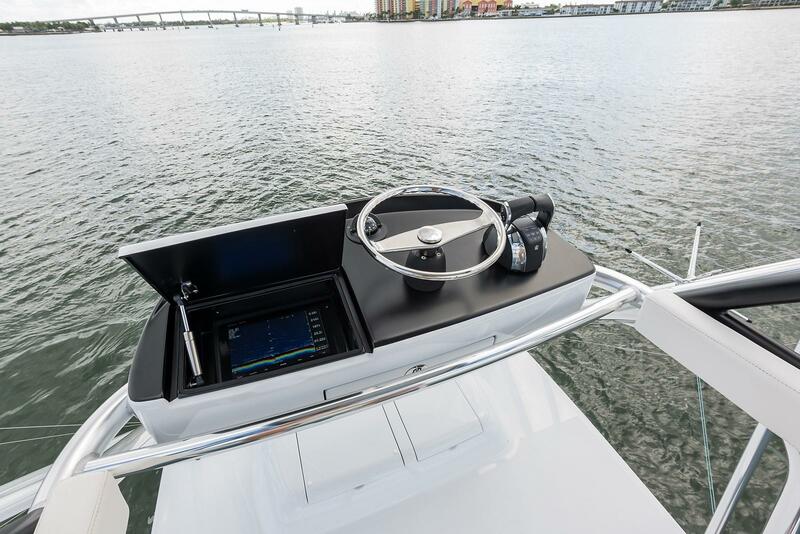 Mercury power with extended warranty and a Seakeeper to give you years of worry free and stable operation. 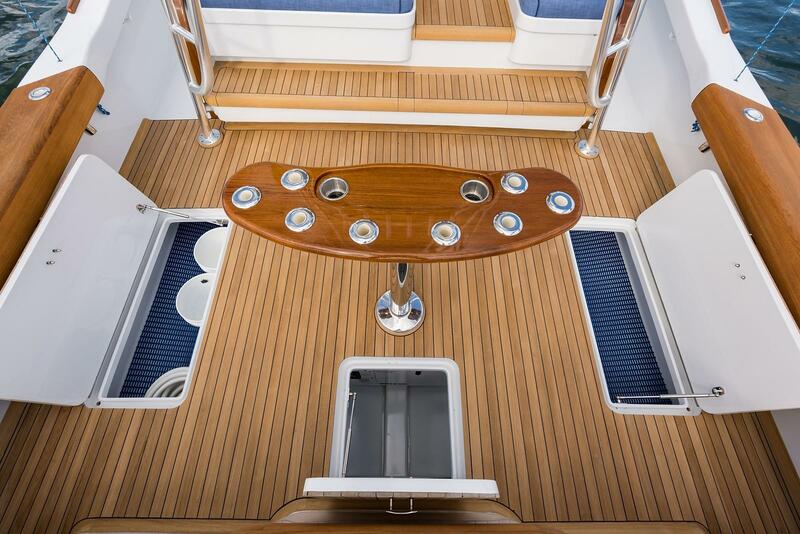 Quite simply this boat must be seen to be fully appreciated. 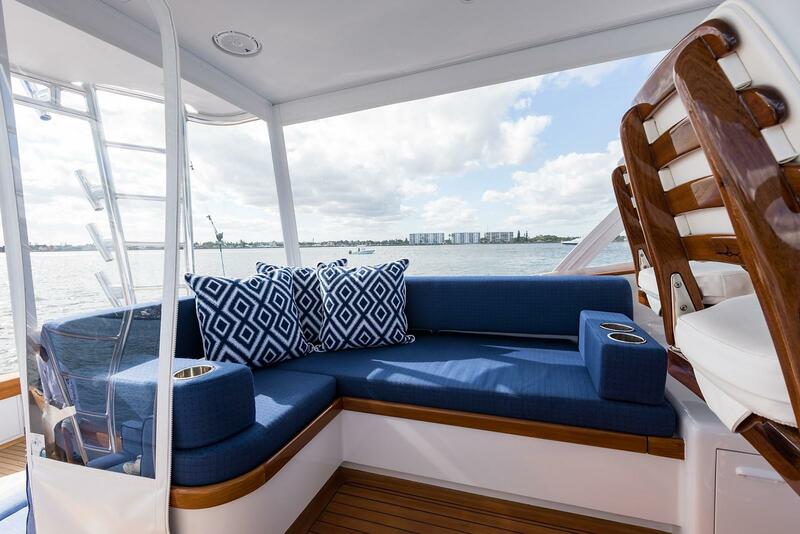 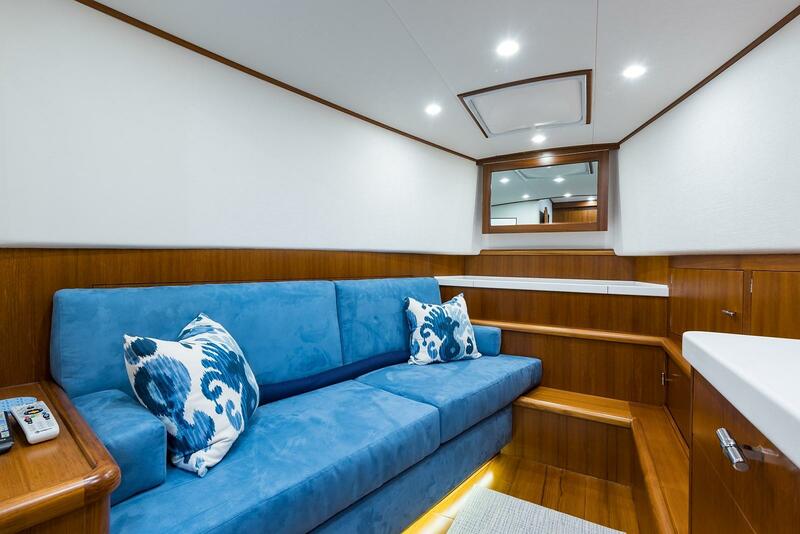 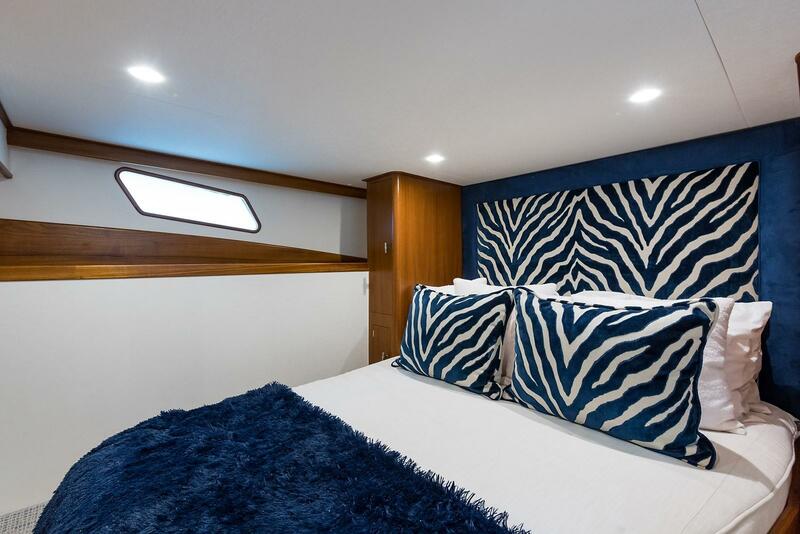 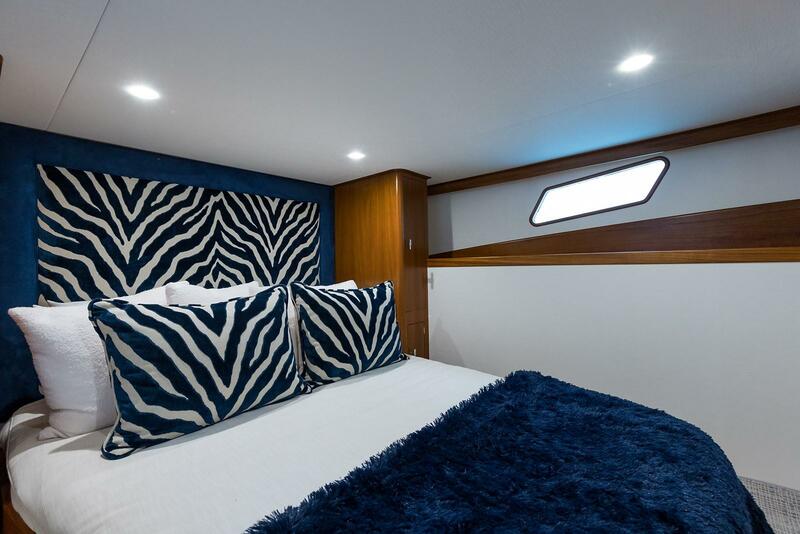 Entering the helm deck area, which is air conditioned, there is an L-shaped sofa to port, wet bar area to starboard and teak sole throughout. 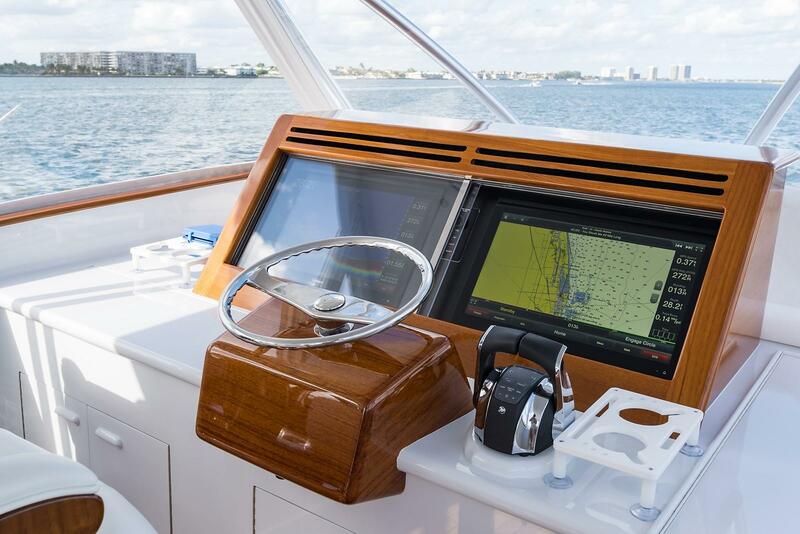 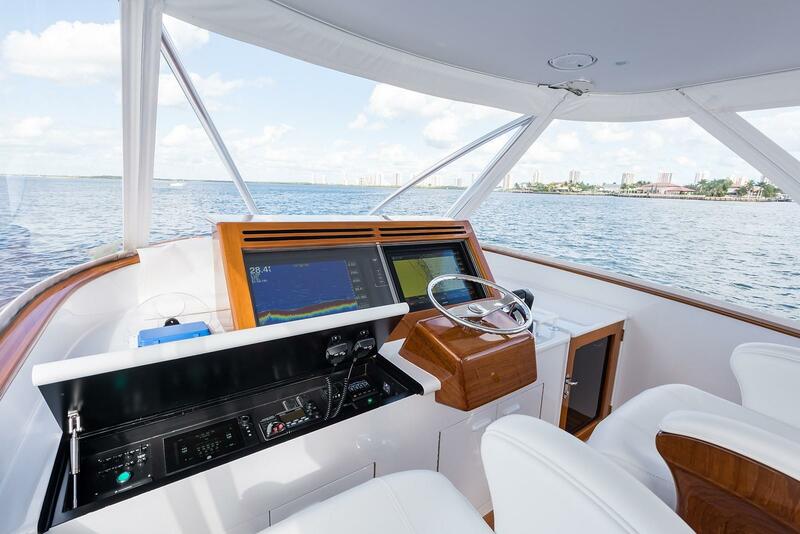 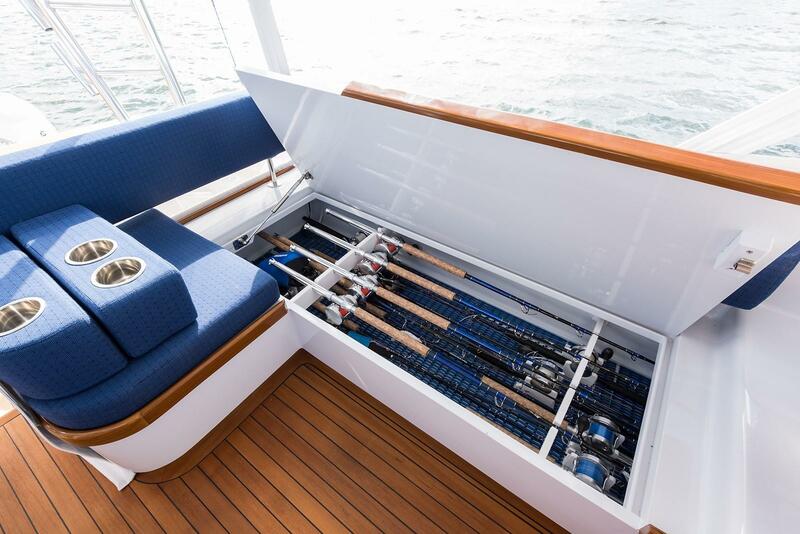 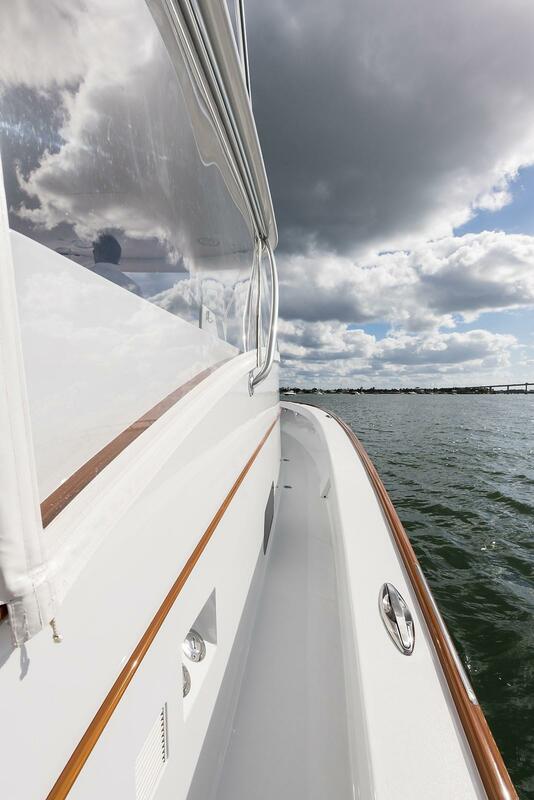 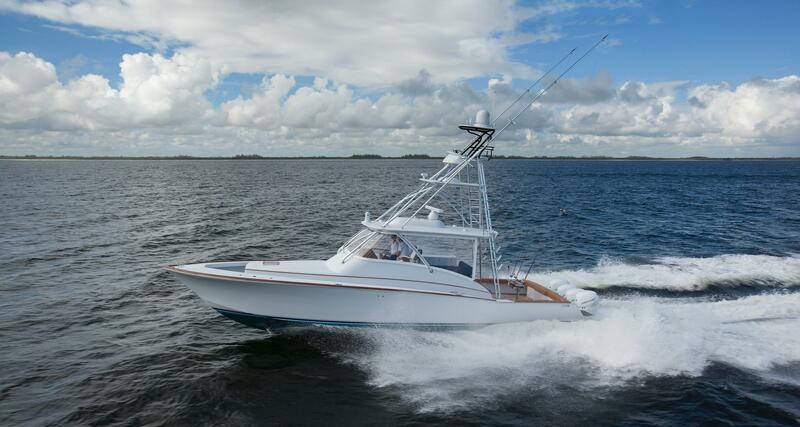 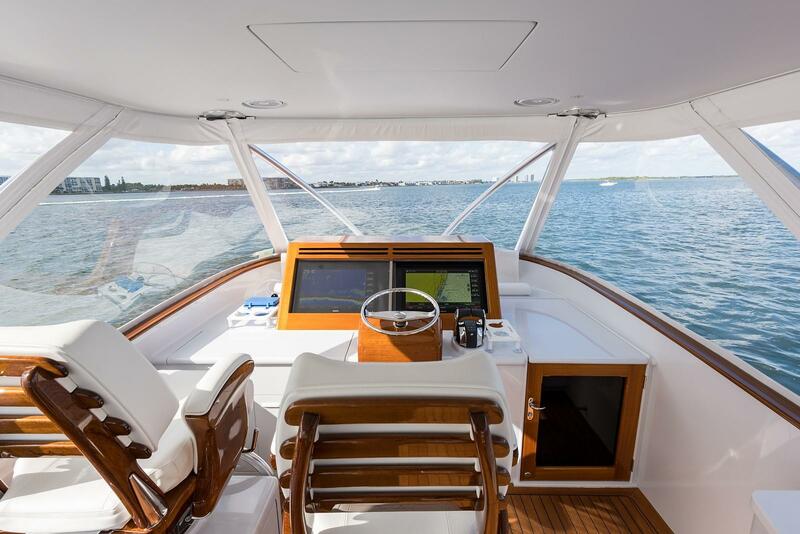 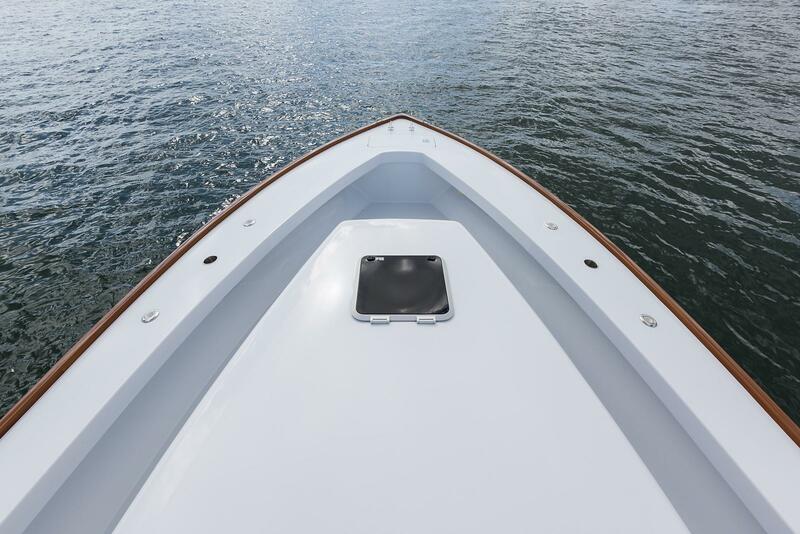 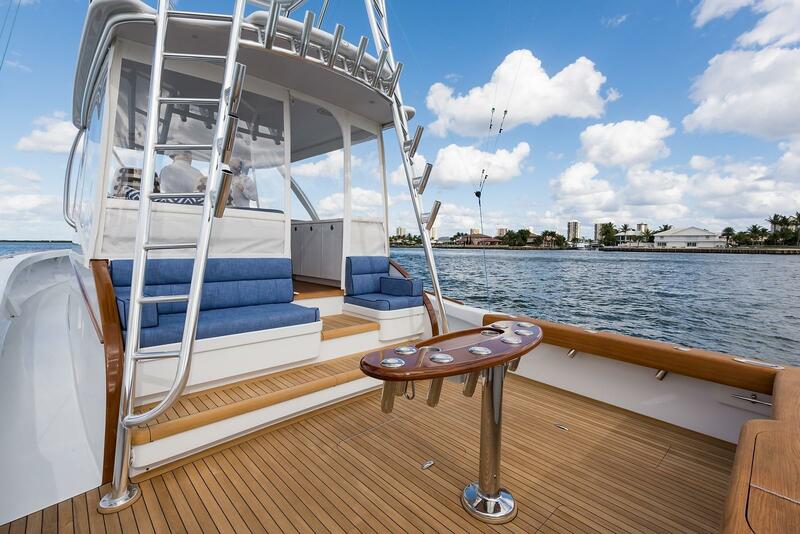 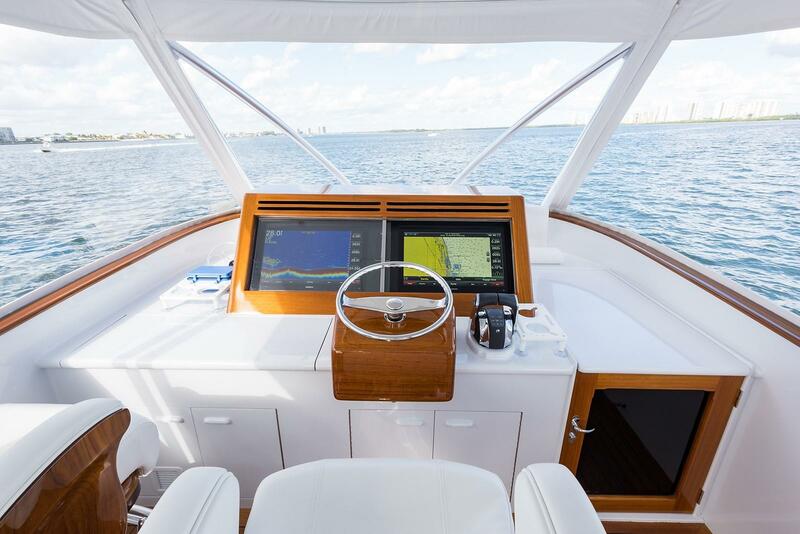 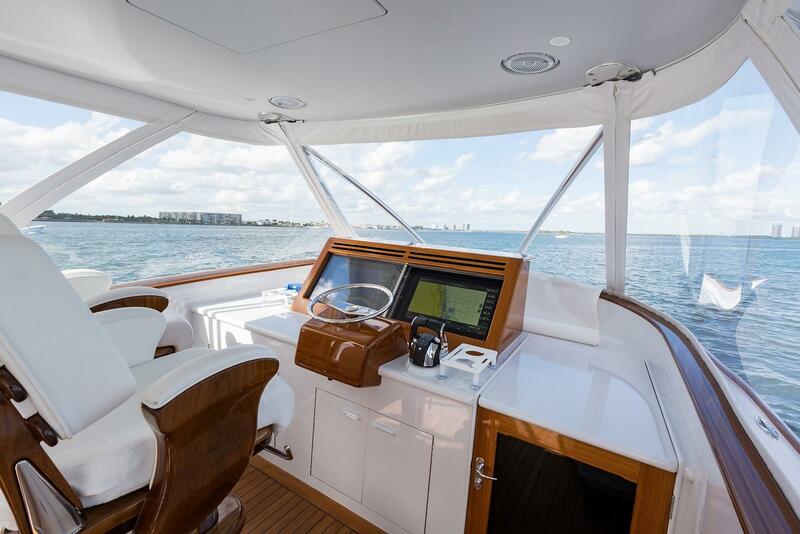 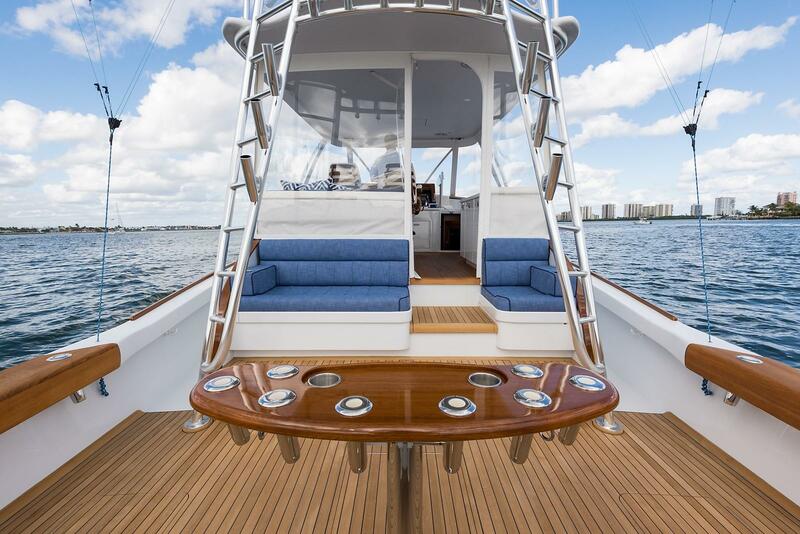 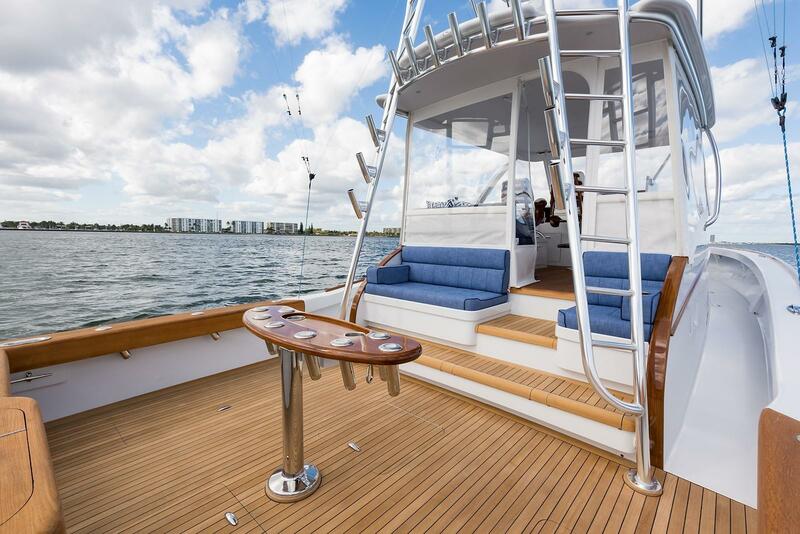 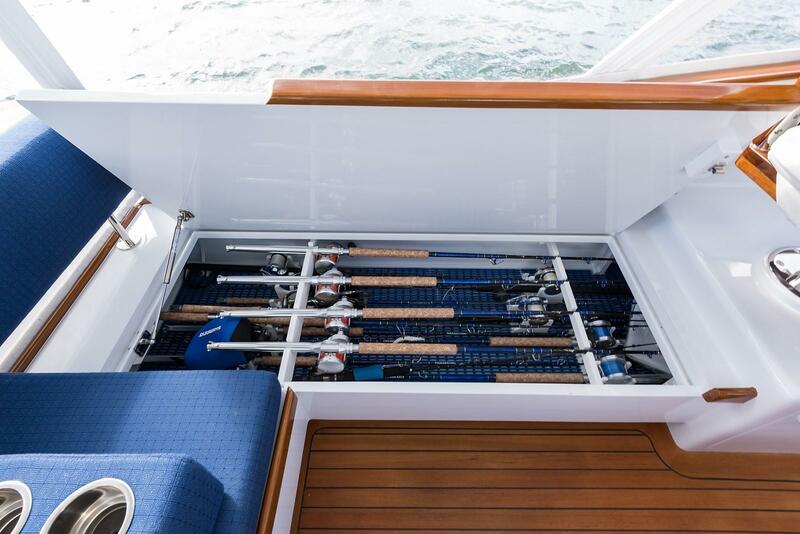 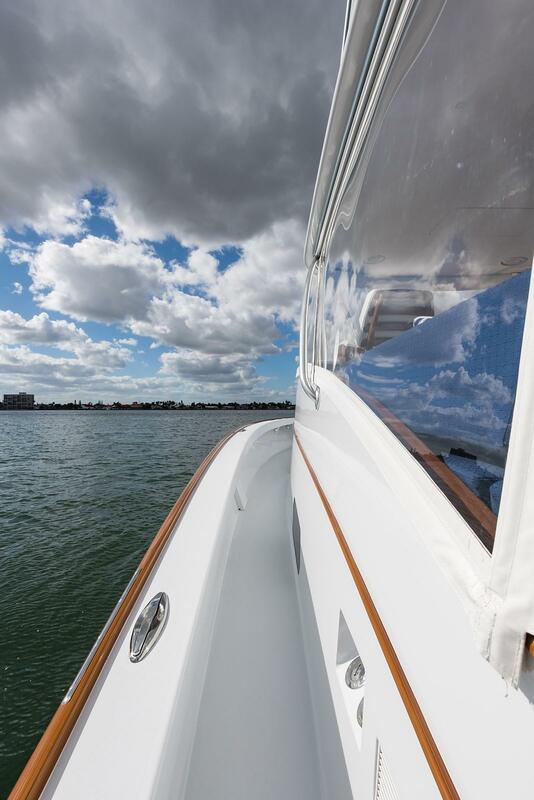 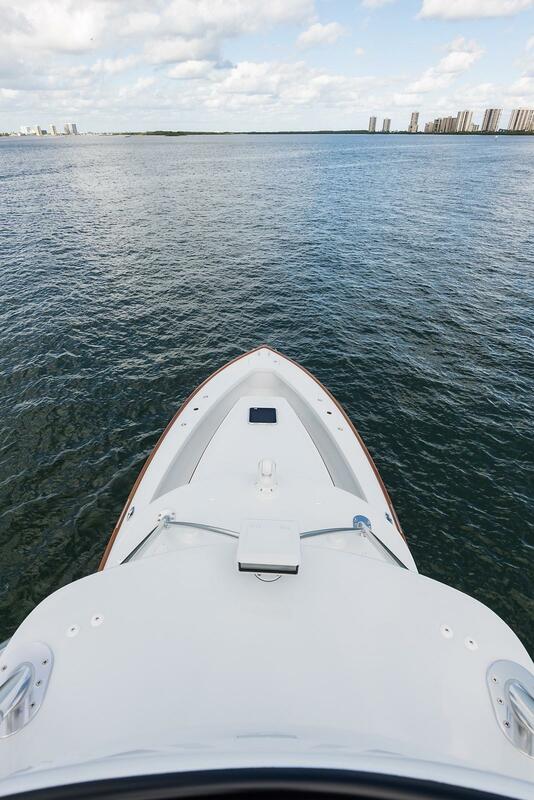 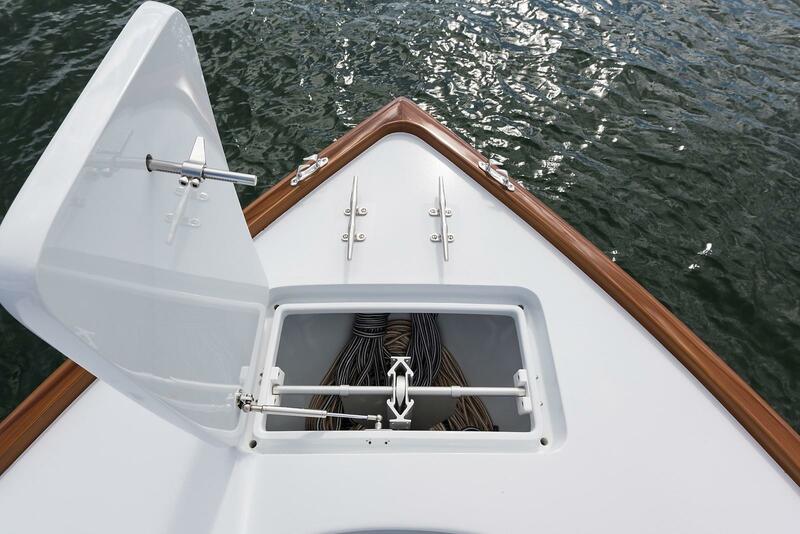 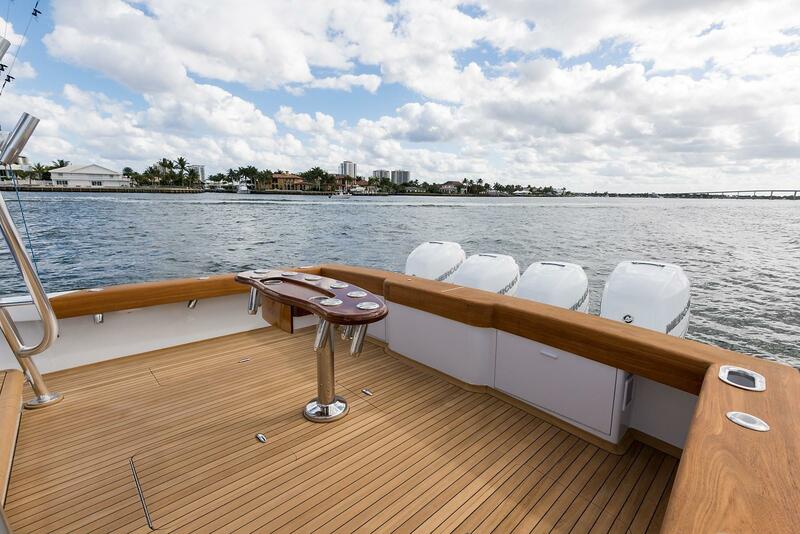 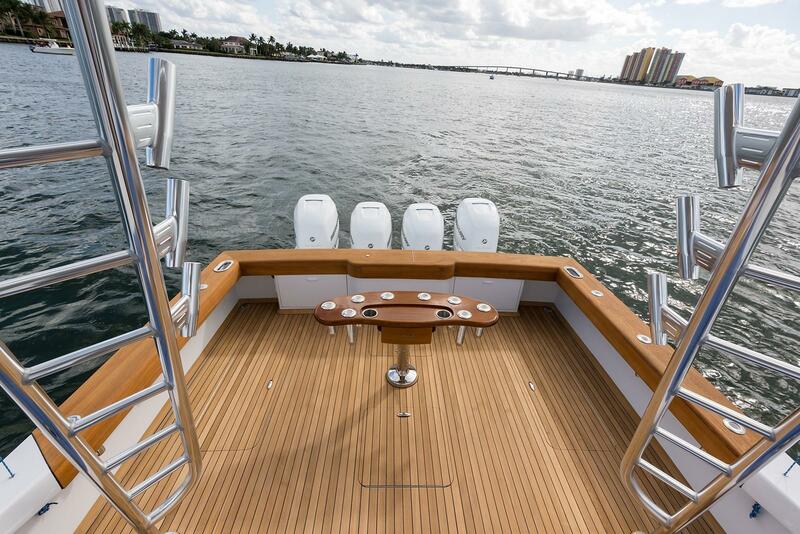 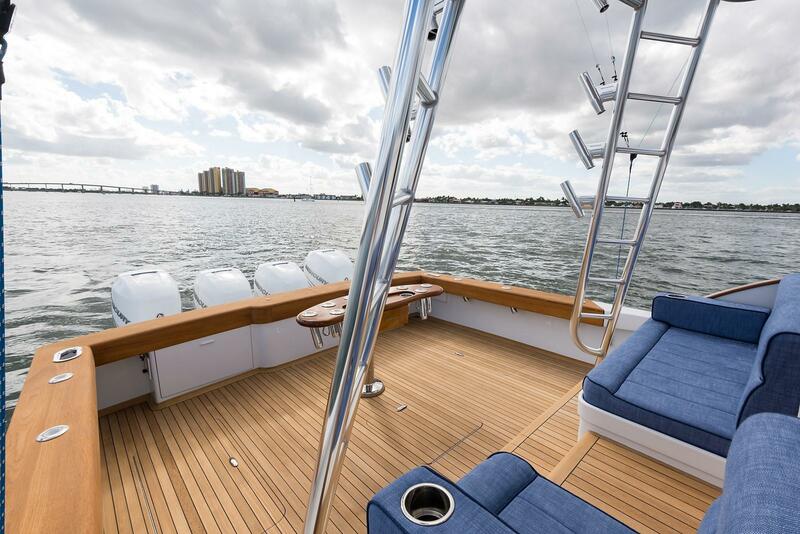 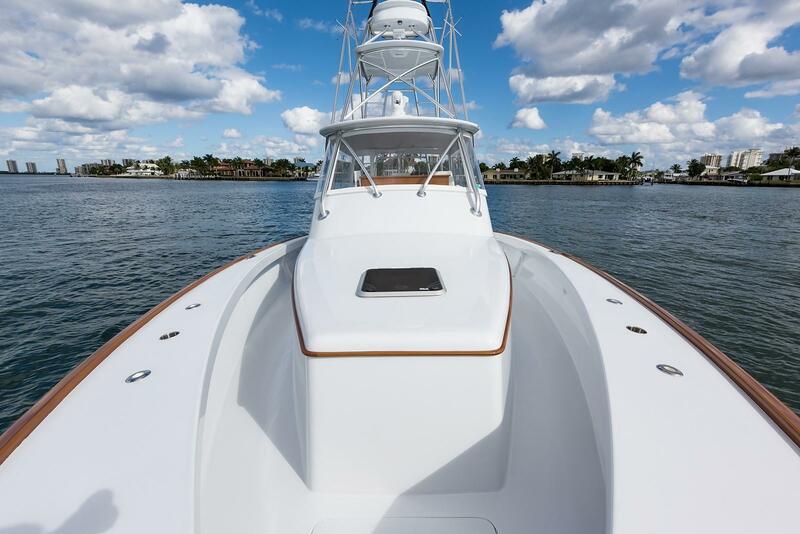 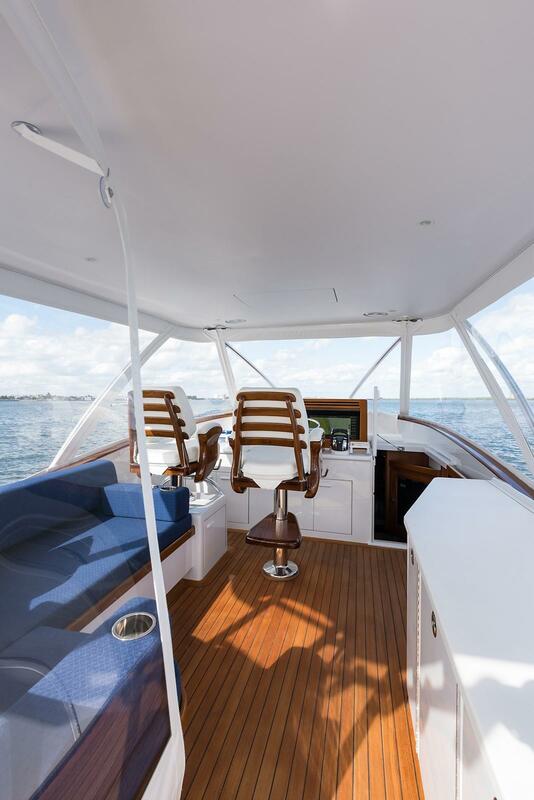 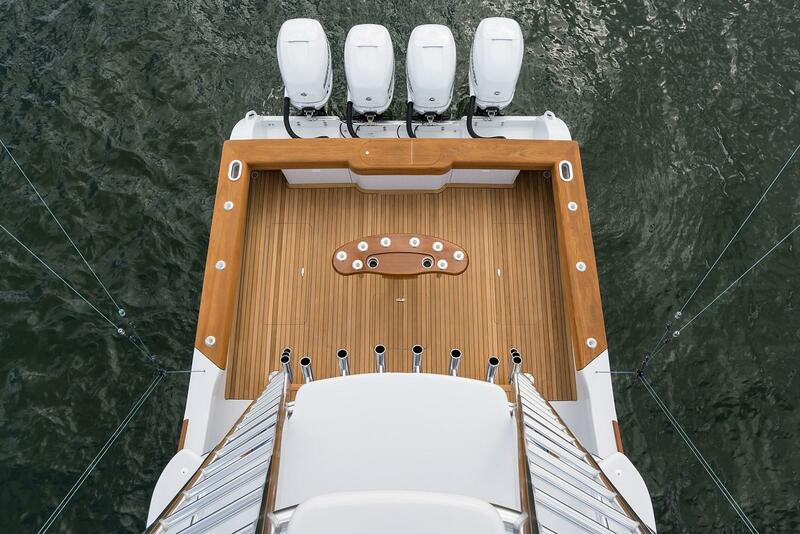 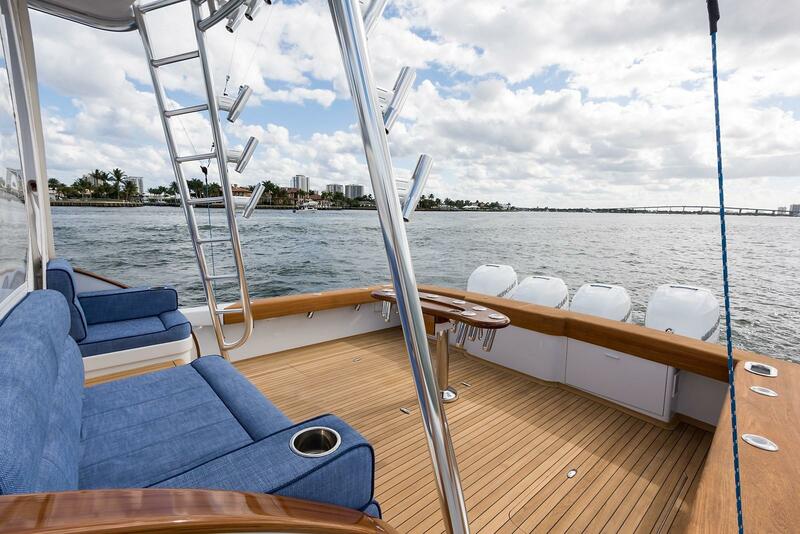 The helm features two teak Release Marine helm chairs and visibility is excellent from all angles. 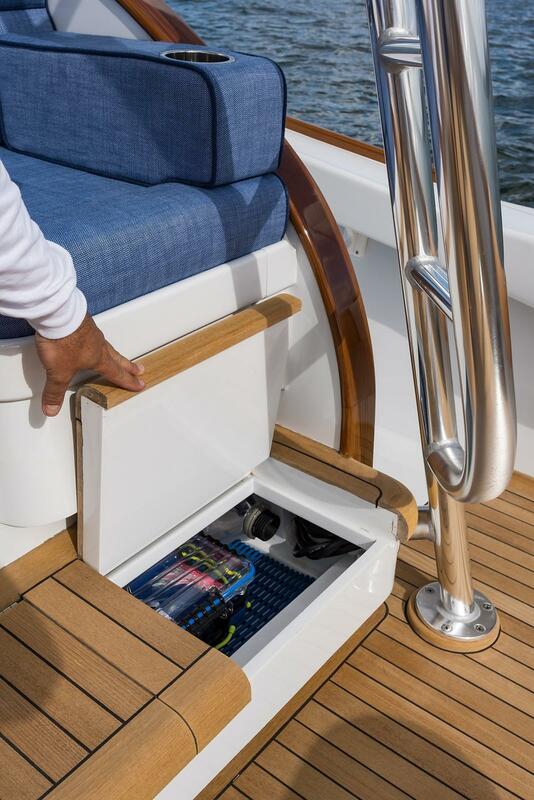 The electronics are mounted in electronics console with sliding Lexan doors within easy reach for the operator. 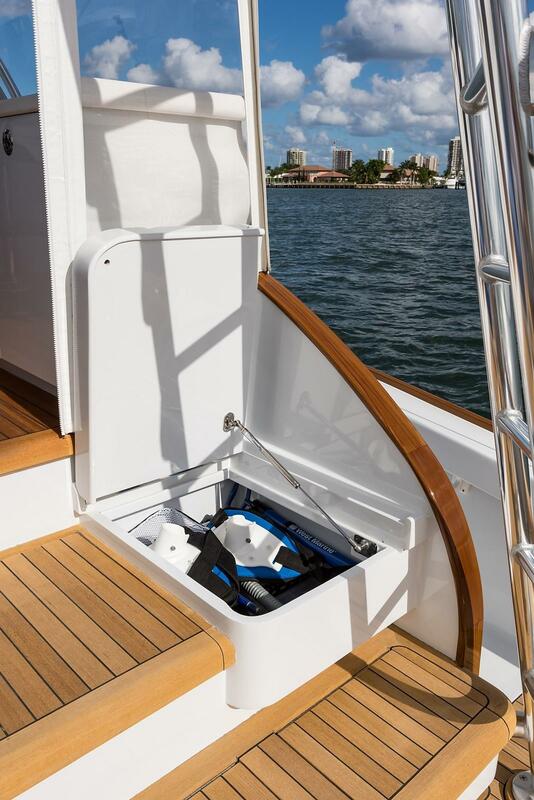 Access to the cabin is offset to starboard via a curved teak stairway. 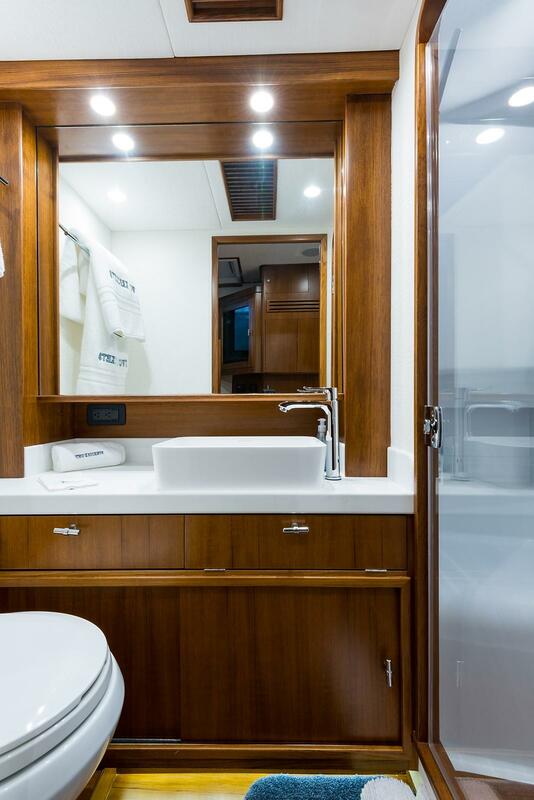 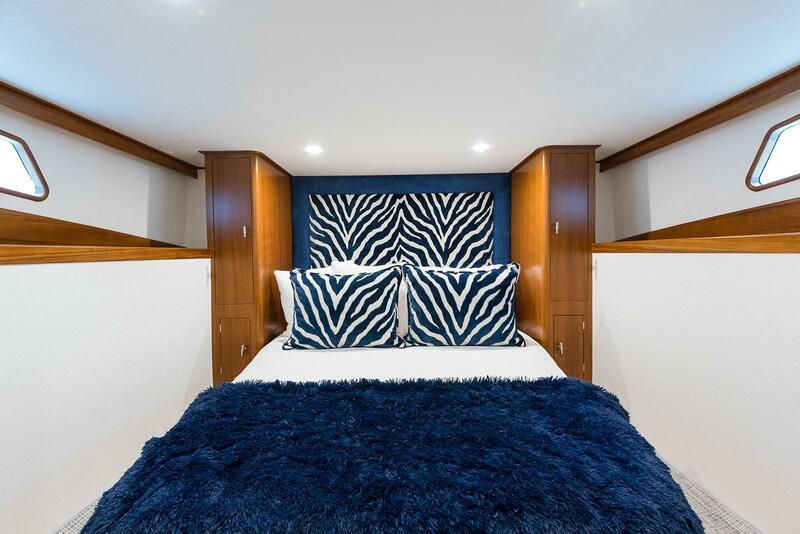 Entering the cabin, the master stateroom is aft, featuring a centerline queen berth. 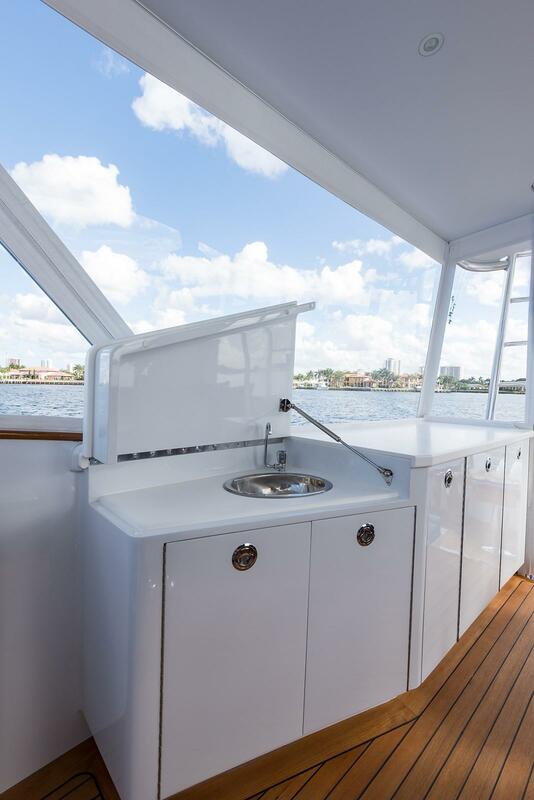 Moving forward, the full head and shower are to port with galley located to starboard. 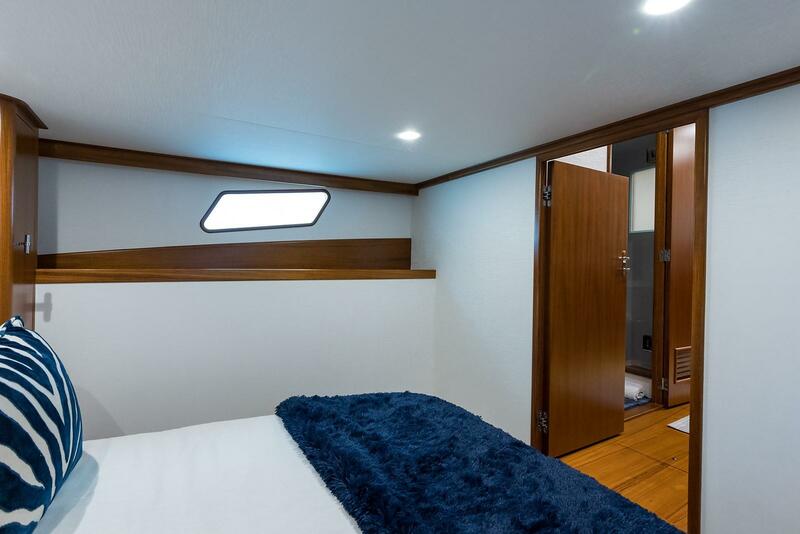 Forward of this area is the comfortable salon with TV located on forward bulkhead. 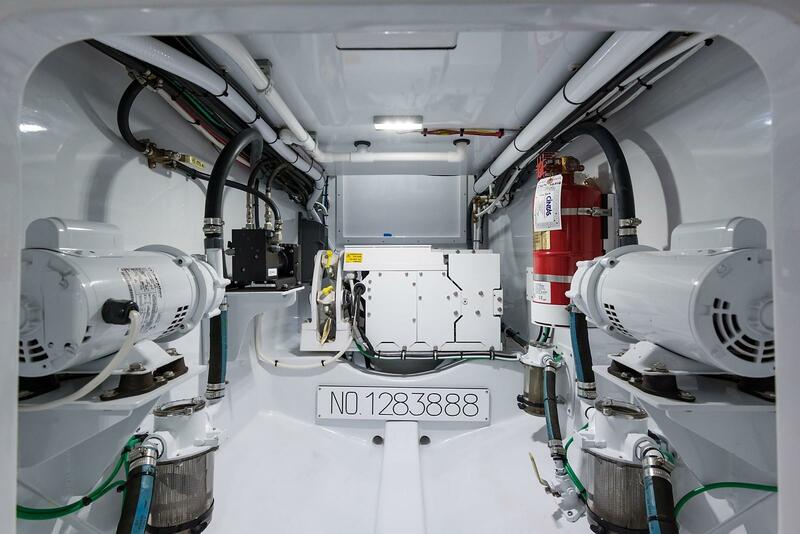 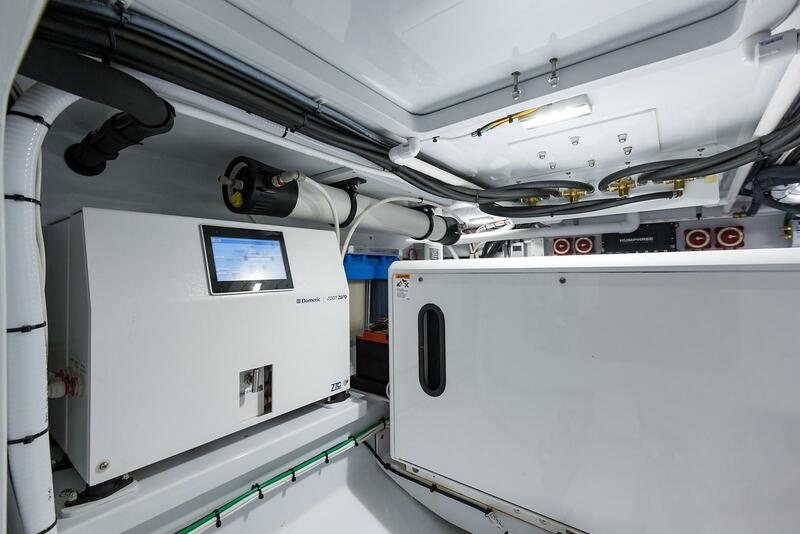 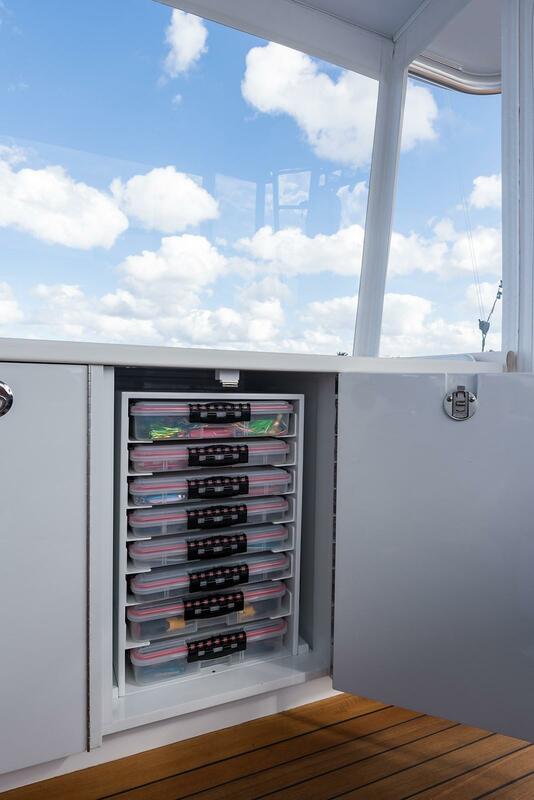 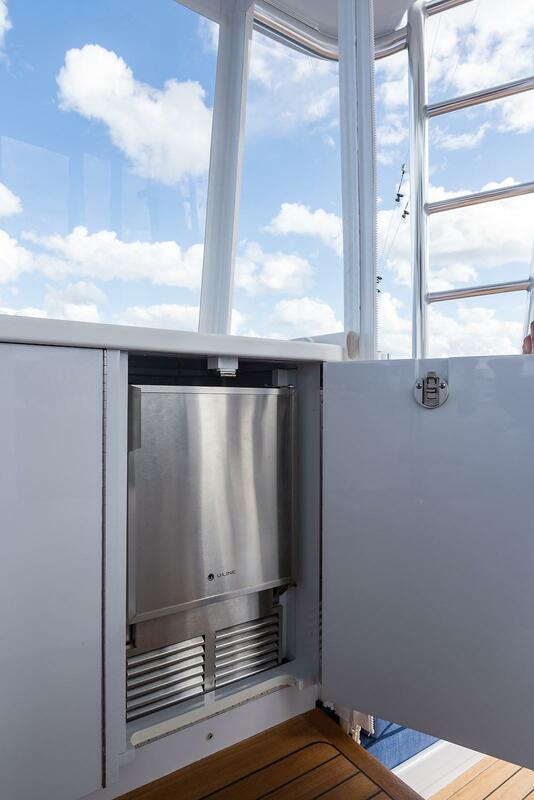 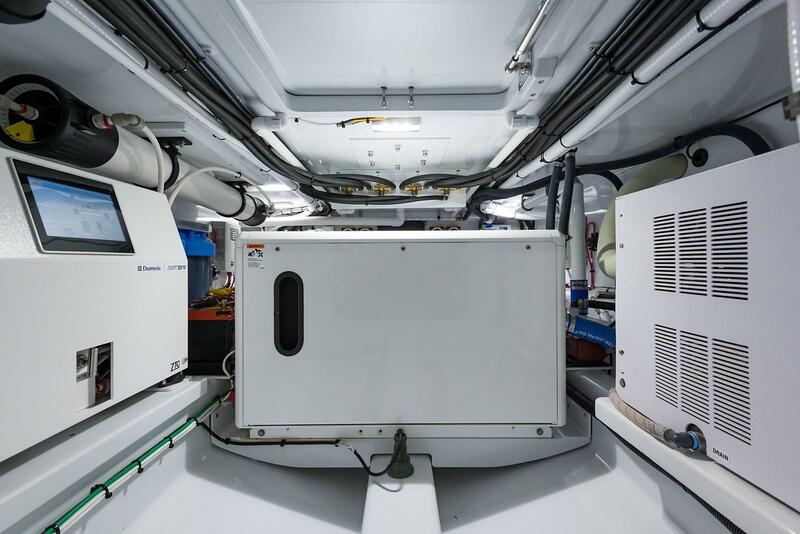 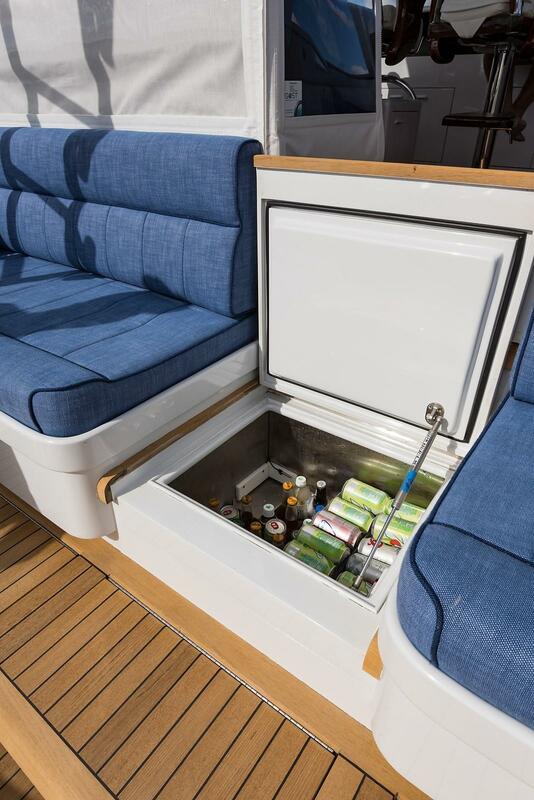 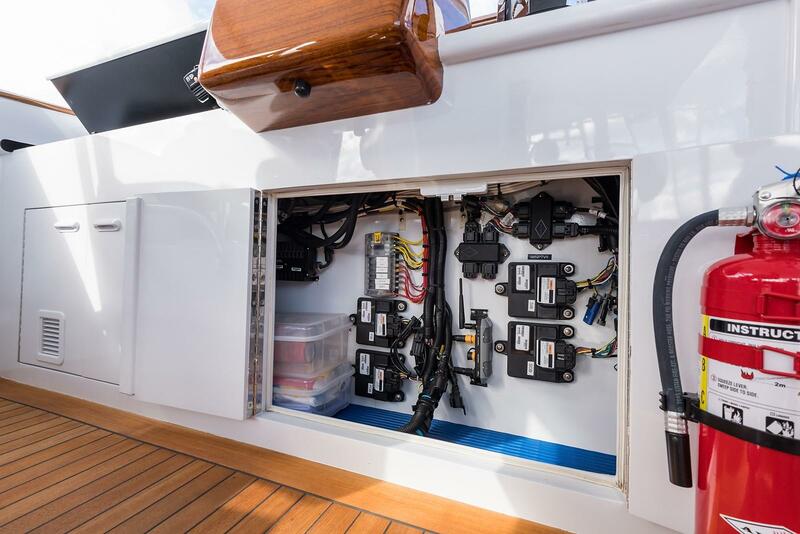 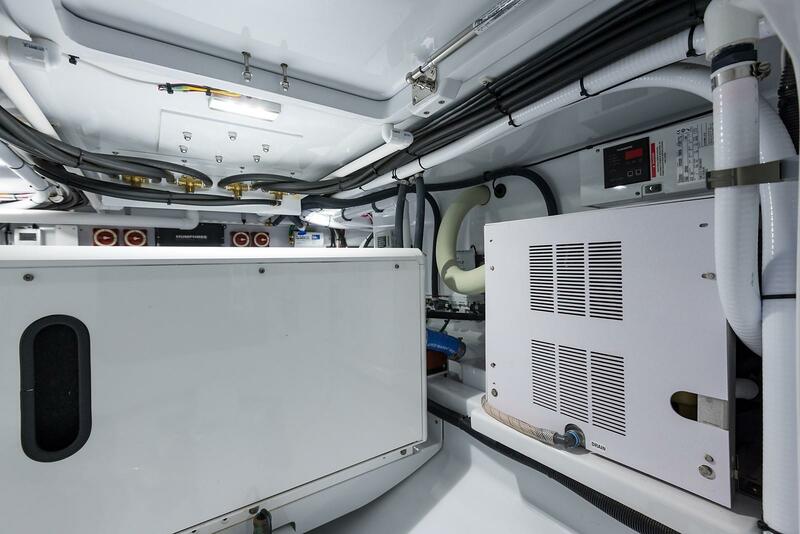 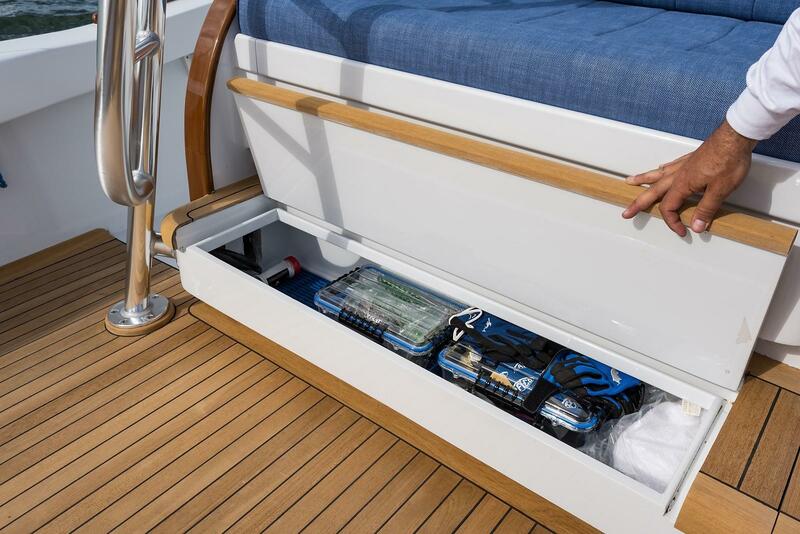 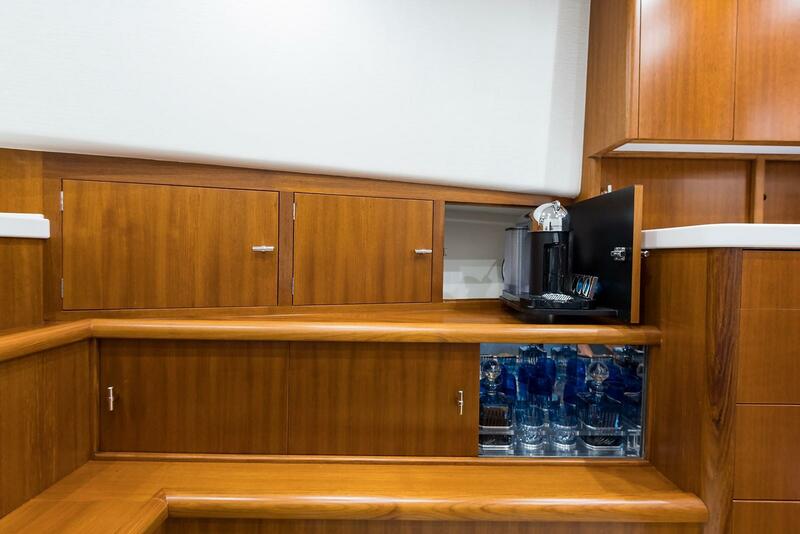 There is abundant storage located throughout the entire vessel and all access areas are neatly painted out and backlit for easy maintenance. 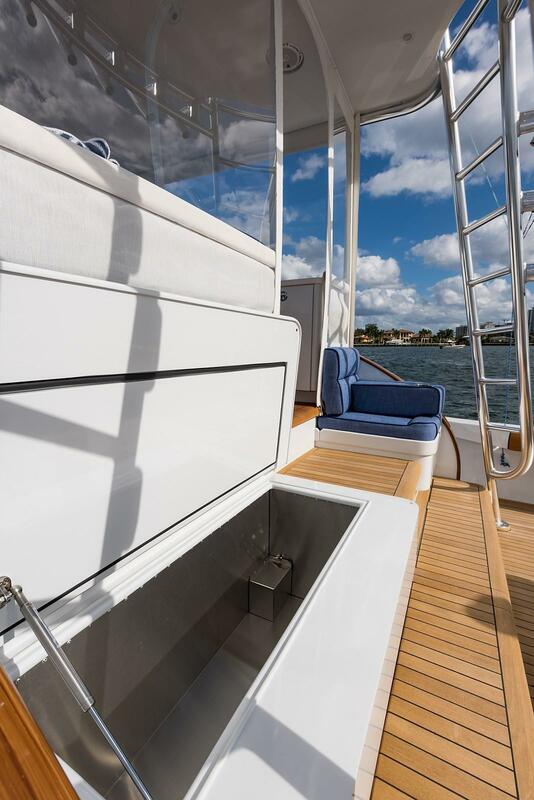 Access to the lower cabin is offset to starboard, which upon entering you will be stunned at the volume and layout. 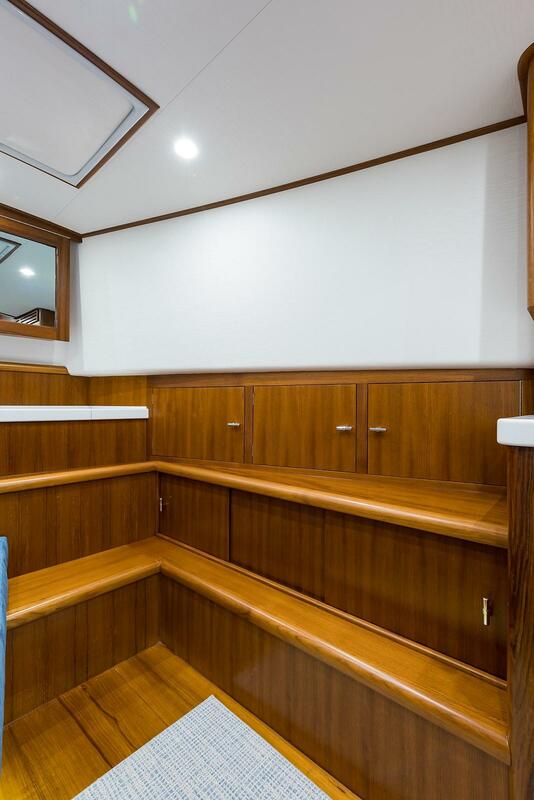 The entire lower cabin is trimmed in bookmatched teak and finished off in a warm satin finish. 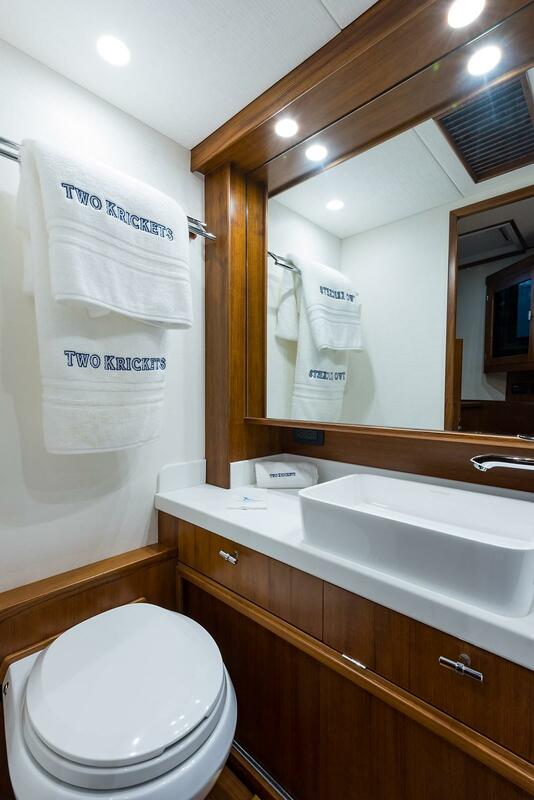 The "Two Krickets" is quite possibly the best designed walk-around to date. 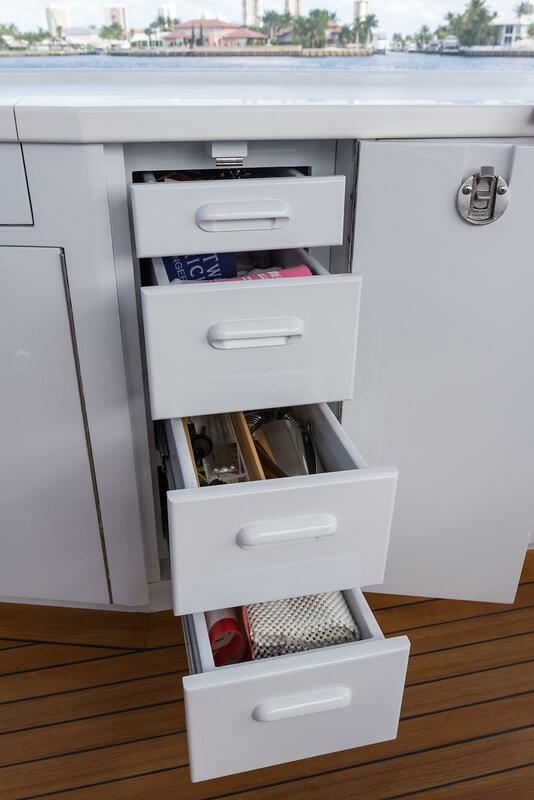 Nothing was overlooked during the design and build process. 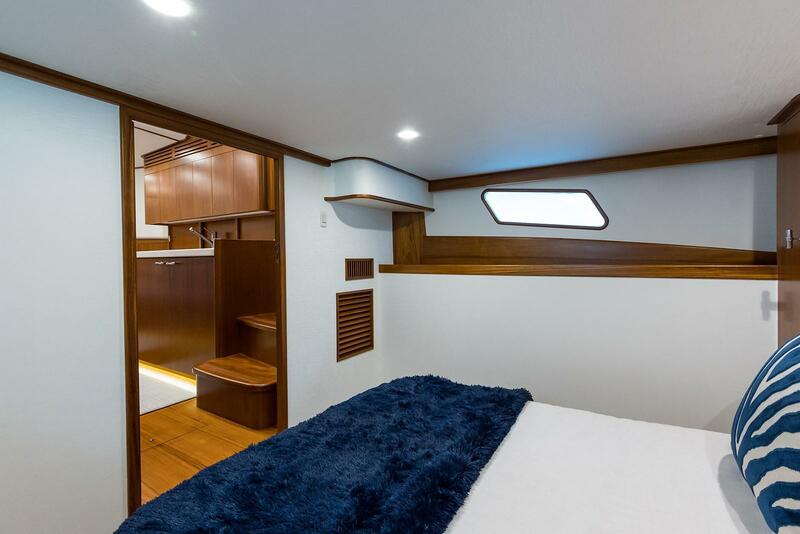 She is loaded with gear and features a roomy comfortable cabin with all the amenities of a 60 footer. 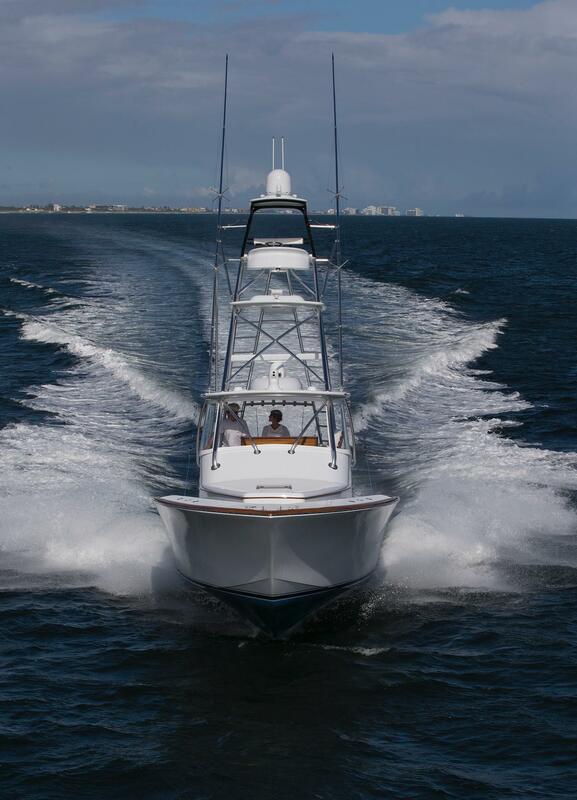 Her performance and fish ability are all Jim Smith, exceeding every goal of her design. 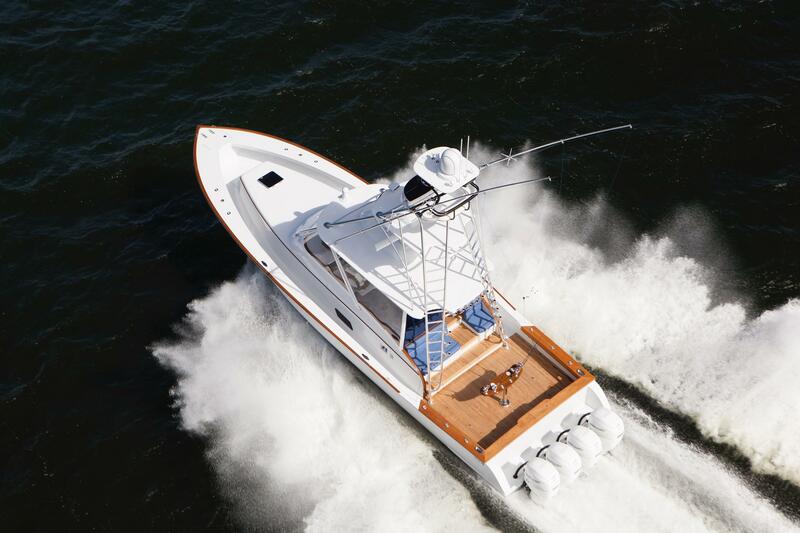 Exceptional dry and soft riding with speeds near 50 kts and exceptional range, she is a contender whether tournament fishing or using as a weekend get away with all amenities. 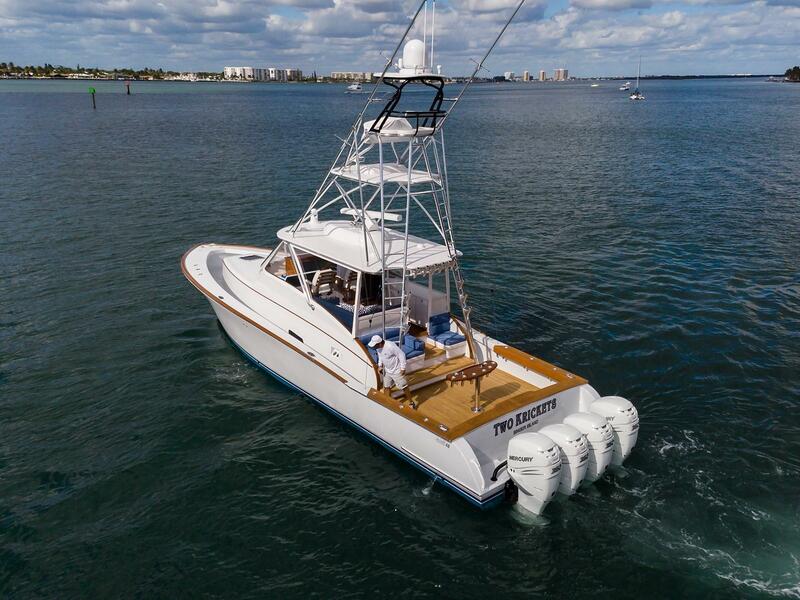 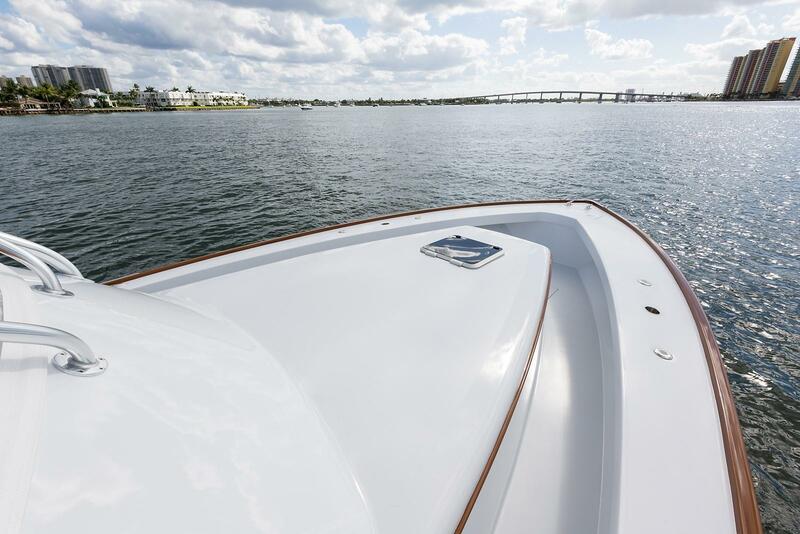 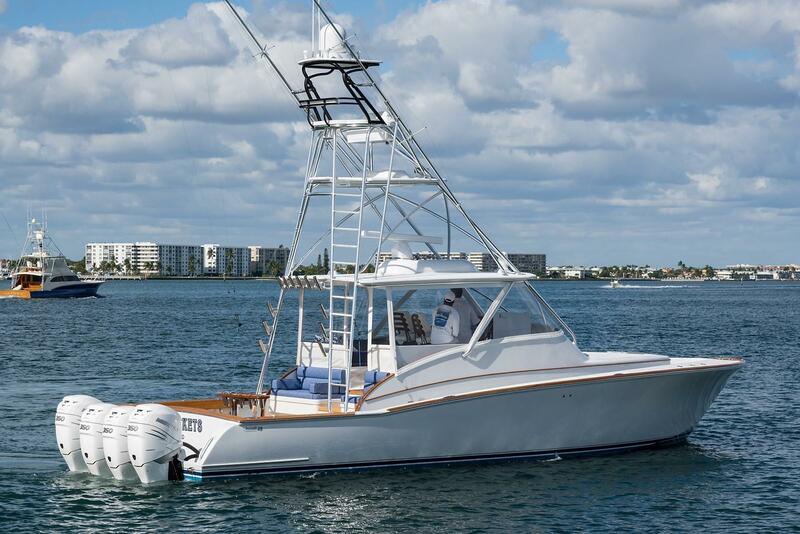 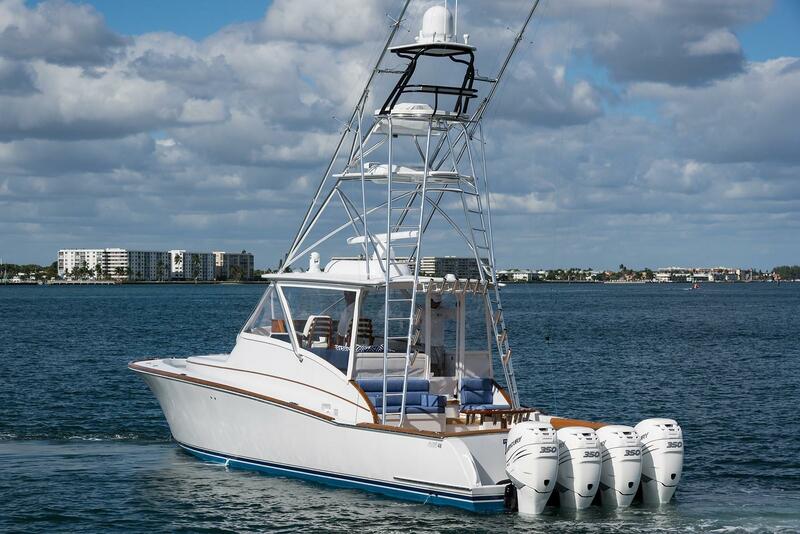 Mercury power with extended warranty and a Seakeeper to give you years of worry free and stable operation.